Let's get ready to hypno! Hypnobirthing is set of easy-to-use skills that teach you how to have a calm, gentle and comfortable birth. Hypnobirthing doesn’t mean you’ll be 'out of control' or doing things you wouldn't normally do (that's the TV version of it!). You will always be aware of what is happening around you, but you will be doing it from a place of control and peacefulness. With Romford Hypnobirthing, you’ll soon understand why pain doesn't have to be a part of your labour. How to be in the right positions to be in labour which will encourage your baby down the birth canal, usually a little quicker! Click on the following to choose the hypnobirthing class that is right for you. If you want to know if there's space on an upcoming course, fill your the details below. 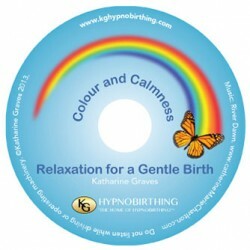 Katharine Graves is a qualified hypnotherapist and the founder of the Hypnobirthing Association.